Steve Poltz On Mountain Stage The Canadian-born songwriter plays an energetic solo set that highlights material from his latest album, Folksinger. 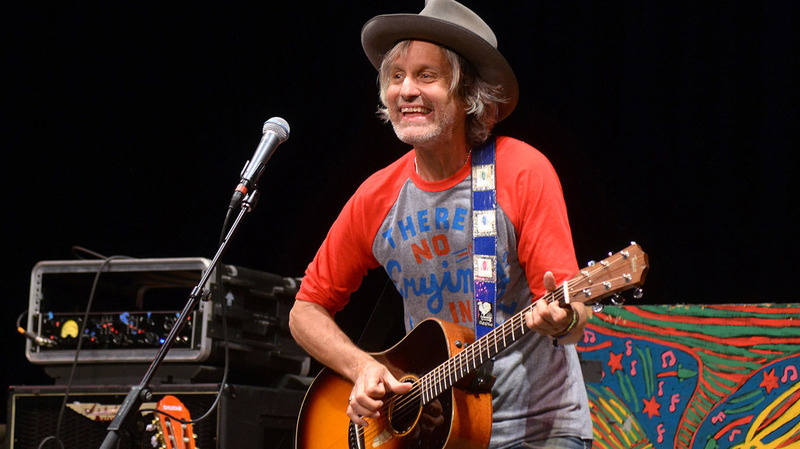 Steve Poltz returns to Mountain Stage, recorded live in Charleston, W.Va. Born among the hearty seafaring folk of Halifax, Nova Scotia, Poltz has lived most of his life in sunny southern California. A spectrum of cultural and emotional tensions have arisen from that displacement, and he's sought refuge in the art of songwriting. Critics and fans alike now regard Poltz as a talented and prolific songwriter. His songs have been among the longest running in the Billboard Top 100 and regularly appear in film soundtracks, television shows and commercials. He appears here for an energetic solo set that highlights material from his latest album, Folksinger. "I Want All My Friends To Be Happy"